This is my second qso on 432 EME after HB9Q. 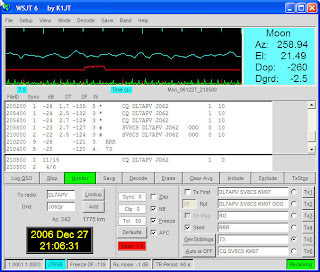 Bernd DL7APV where very strong in my set-up for 70cm EME. I am using 2X19 el Tonna and 100w by rf-concepts (rfc 4-110) amplifier. TNX Bernd for the QSO.